Daniel's 70th Week Begins When? 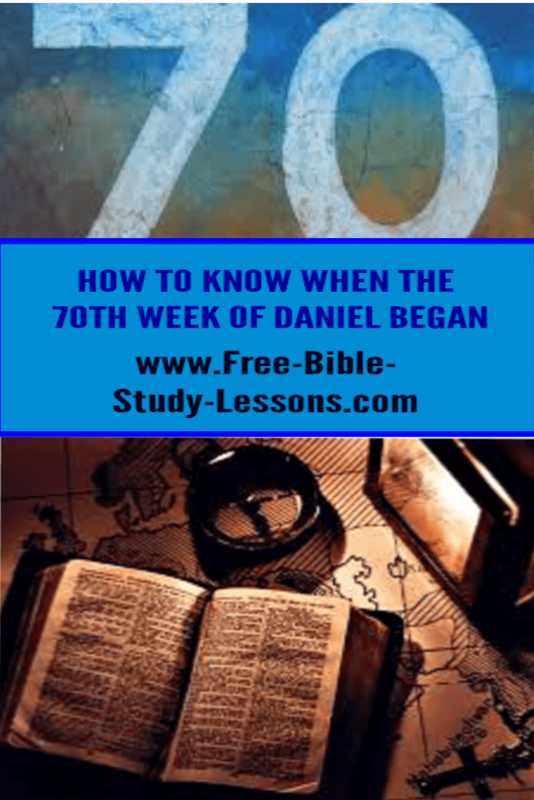 When does Daniel's 70th Week begin? There are strange, but popular theories going around today about this question and the events which are to happen within the Seventieth Week. 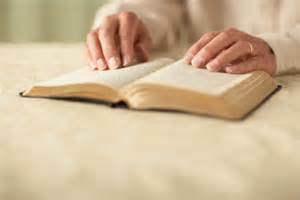 Let's go to Scripture with an open mind to see what the Holy Spirit is saying. Most commentators realize the Seventy Weeks are seventy "weeks" of years - each day in the "week" standing for one year. We; therefore, have 490 years [70X7] from the beginning point ["the commandment to restore and build Jerusalem"] to the end. This period of time is broken into three time periods: 49 years ["seven weeks"], 434 years ["threescore and two weeks"], and 7 years ["the final 70th week"]. Before I tell you what you should have found [or not found] let me set up a situation. I want to ask you a question. Let's say we are close friends, but we live in different communities. I phone you up and make plans that we will meet in five weeks and travel to Disneyland together. The five weeks come and go and I don't show up. In frustration you leave without me, having a great time - except for worrying about what has happened to me, and return home. Seven weeks from when we made our plans I show up and ask if you are ready to go. You are upset and ask how I can be two weeks late and still expect to be considered on time. I reply that I didn't count the two weeks I had to go to a wedding on the other side of the country and what is the matter with you for not waiting when I was promptly on five weeks according to my calculations? You know it wasn't simply an error on my part. Would you feel deceived? Would you feel unfairly treated? What would be your thoughts about my truthfulness and integrity? If you take the plain meaning of Scripture and follow Biblical Chronology you will discover that the 69th week ended when Jesus began His ministry. The 70th week has rightly been called The Greatest Week In History for it is the week of Christ's earthly ministry including His death and resurrection. So where does the 70th week come? Right after the 69th week - right where we would expect it to come! What Happens In the 70th Week? This being the case, the angel told Daniel that several things would happen in this 70th week period. Those things did not happen in the first 69 weeks so they must take place within the 70th week. Let's look at them and see if they did." 1. "...to finish the transgression"
Remember the context, Daniel is told "Seventy weeks are determined upon thy people and upon thy holy city..." "Thy people" and "thy holy city" is talking about the Jewish people and Jerusalem. When did the Jewish people finish their transgressions? We don't have to guess. Jesus Himself tells us. Jesus told them that all the righteous blood shed on the earth would be required of their generation. It climaxed in the betrayal and murder of the Son of God. The greatest crime of the universe ended the transgressions of the Jewish nation. 2. "...to make an end of sins..."
Who put an end to sins and when? 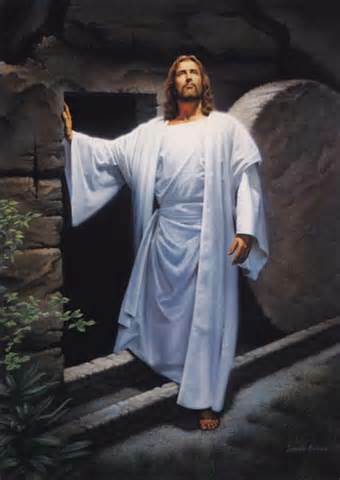 Jesus Christ at His death and resurrection. He forever conquered sin, Satan, and the forces of evil. When we are in Christ, sin is no more an issue. 3. "...to make reconciliation for iniquity..."
Because Jesus has "made an end of sins" we can now be reconciled to God through Jesus Christ. 4. "...to bring in everlasting righteousness..."
Because of Jesus' work in the 70th Week of Daniel we can now walk in His righteousness. 5. "...to seal up the vision and prophecy..."
Jesus is the Center of Scripture. All prophecy and vision points to Him. During His time of ministry and giving up of His life as a ransom for us, He fulfilled the entire point of the Scripture. There is no one else coming. Jesus sealed up the vision and prophecy. 6. "...to anoint the most Holy..."
Jesus anointed the true Most Holy Place with His own blood. The type and the shadow are not needed any more because the reality has come. All the things that were predicted to happen within the 70 Weeks happened within the 70th Week which was Christ's earthly ministry. In fact they are all accompanied by the middle of the final week [3 1/2 years] when the Messiah was cut off and rose from the dead. Some people feel that the murder of Stephen marked the end of the 70th Week. Whether this is so or not is not really important. What is vital is that Christ completed His mission in the 70th Week. A Warning: Those who take the incredible, world-changing events of Christ's ministry in the 70th Week and apply it to some Satanic representative in our times or our near future, have taken the beautiful work of Christ and ascribed it to the enemy. The name and work of Jesus is then dishonoured. God takes the dishonouring of His name very seriously and so we had better be careful on what we believe and teach on this subject. For a look at the "Messiah being cut off", "the people of the prince", and "the abomination" read the report Who Are The People Of The Prince In Dan 9:26? Also see our e-mail courses.